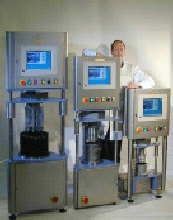 The BML-Viscometer test process is fully automated and operated by the control software FreshWin v.4.01. The standard version of the FreshWin software is very easy to operate. Once the control parameters appropriate for the test have been entered. The operator only need to press Start process key and save the test results. The test results can be displayed or printed any time after the test as diagrams or data tables by selecting the appropriate test from selection list. Tests from any series can be displayed simultaneously in diagrams and distinguished by color, data marker and line type. Data series can be exported either as Exel data files or as ASCII text files. Easy drop down menus and button interface for selecting options. 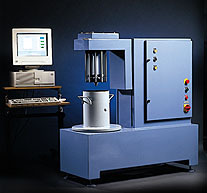 All operational testing and calibration of the BML - Viscometer is done directly within the FreshWin software.